“A dainty, orange/red bloomed plant that will flower year after year. Red Dragon forms clumps and produces flowers that stand tall from the foliage, perfect for that cottage garden look - it’s always catching peoples attention on my allotment. 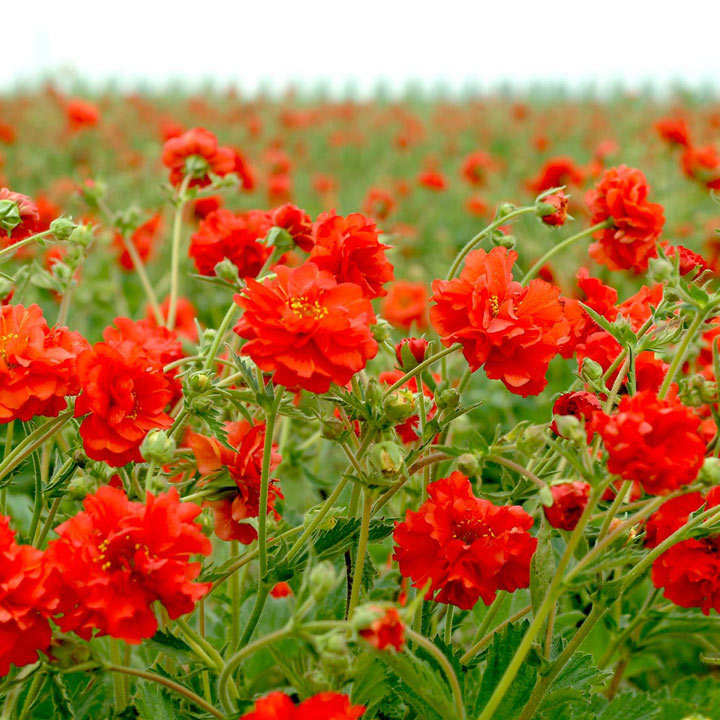 ‘Red Dragon’ is a very special plant.” Sow February-June for flowers July-September (yr 2). Height 40-50cm (16-20”). For first year flowering sow February in a propagator on a windowsill or in a greenhouse at approximately 18-21°C (65-70°F) using a good quality, moist compost. Cover the seeds lightly with sieved compost as light assists germination. Germination 10-14 days. Transfer seedlings, spaced out, into trays and grow on. Acclimatise plants gradually before planting out in May 20cm (8") apart in a sunny position. 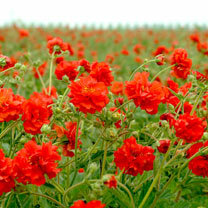 Alternatively sow direct outside March-July in a coldframe planting out in September for flowering in the second year. Ideal for beds and borders, patio pots and containers. Drought resistant. Attractive to bees. Grows in sun or shade. HP- Hardy perennial.